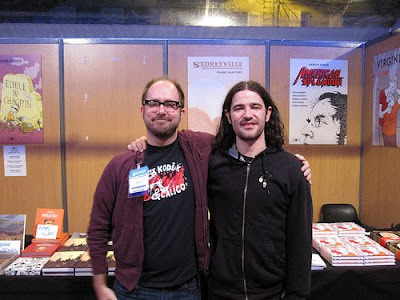 Everyone knows about the fabled Angouleme comics festival in France, right? It's like one of those shows you hear about for years but sort of feel disconnected to -or at least I always did. And then this year I got a chance to go. As an observer it was overwhelming. As a participant it was thrilling. It's like comics heaven. "Look there's Moebius. Look there's Crumb. 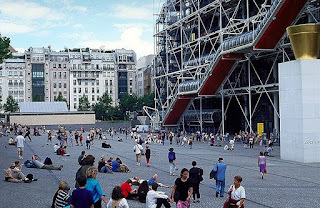 Did you see the Mattotti page at the museum?" The Festival itself was amazing in that it takes over this entire town. I saw hordes of school kids out roaming the halls buying comics and thought, "Isn't it a school day?" "It's a field trip for them," someone told me. "Their school brings them here." 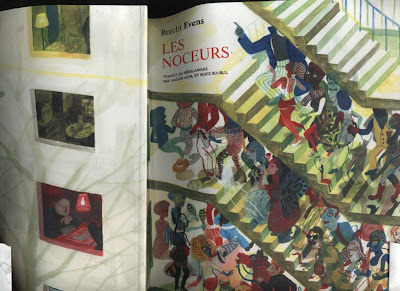 find of the Angouleme festival: Les Noceurs by Brecht Evens. 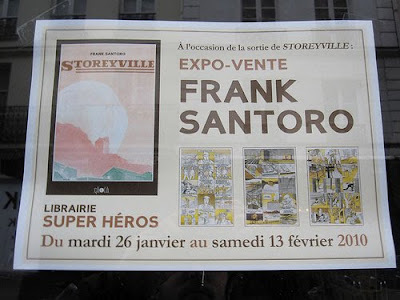 exhibition of Storeyville pages inside the amazing store, Super Heros Librairie in Paris. had a really awesome signing there my second night in the city with Peter Kuper. 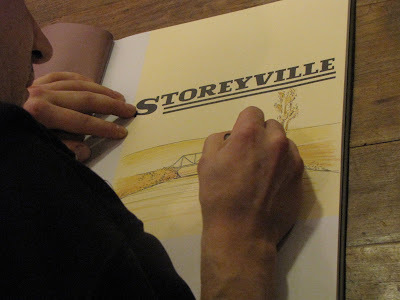 the store's owner, Christian, fell in love with Storeyville and promoted the hell out of it. a ton of people showed up. THIS was across the street from my exhibition. Did about one hundred variations of the landscape drawing shown here above. YES, that's a drawing. Not printed in the book. 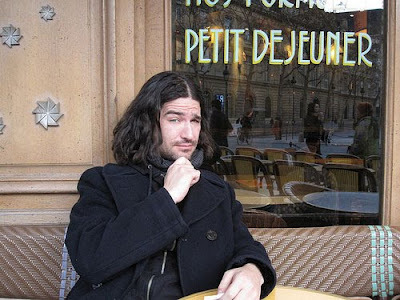 This one was from a signing at a different store in Paris, BD Spirit. Signings in France are really unique -just like Dash mentioned in a Comics Comics post about the festival. 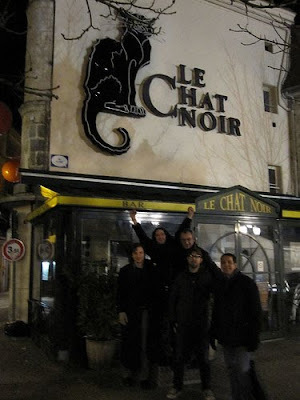 I'll spare everyone my rambling thoughts on Angouleme 2010. 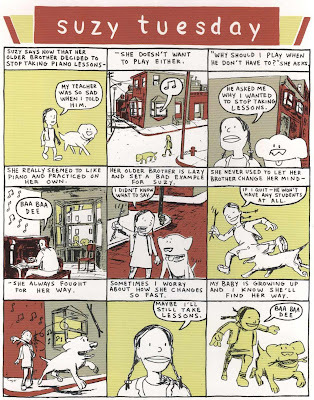 Anyone wanting to read an in depth account, I suggest reading Paul Gravett's post about it all. Whatever I'm gonna say will sound like boasting. 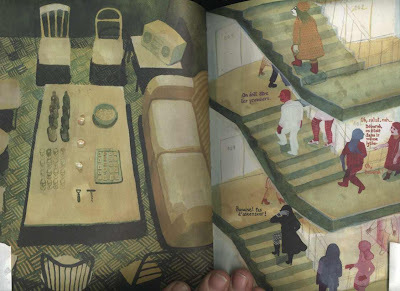 I felt like I'd won some award just for being invited to go to Angouleme. It was super humbling. 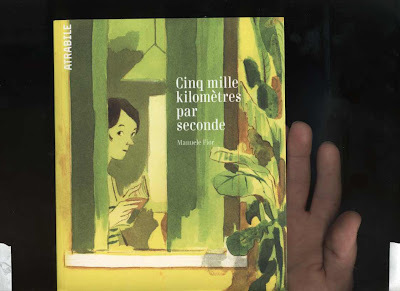 When Philippe Dupuy stopped by my table and said "I'm happy to see your book published in France", I almost fainted. 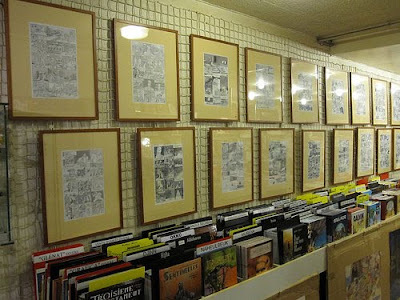 Comics are part of the culture in France and just to be in the mix was a rush. 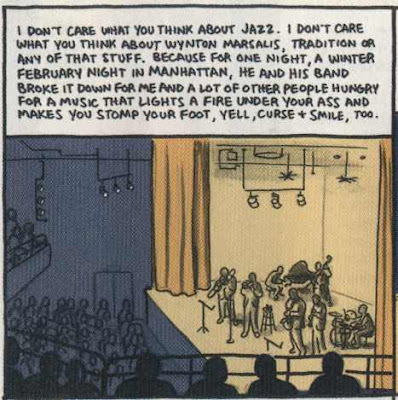 The best part was I got to give my jazz riff on Storeyville. 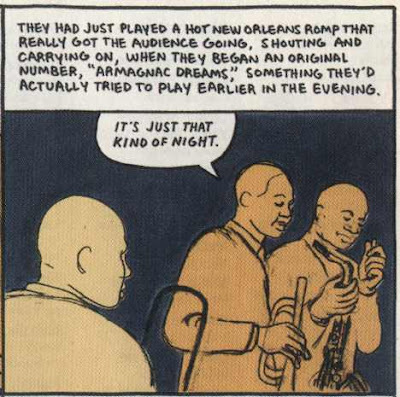 And use my Sidney Bechet reference and get at least a few real connections with comics readers who listen to jazz. 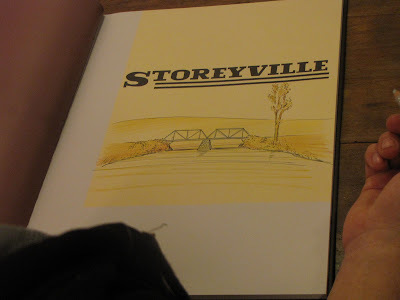 In Storeyville, the fixed frame is the steady beat. 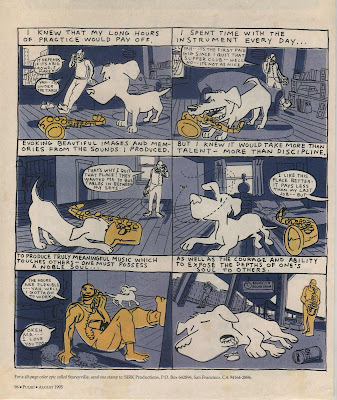 Yellows and Browns are the bass and piano. All that's the rhythm section. The Grays and Blacks and Whites are the front line - the horns: clarinet, sax and trumpet. 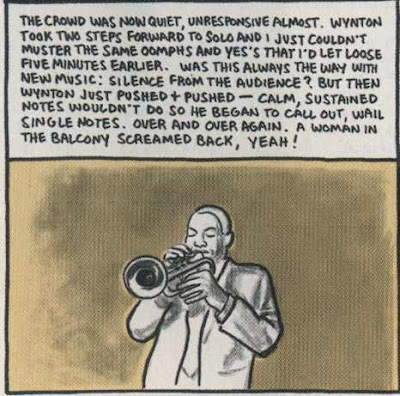 Sometimes the music is slow and only a few instruments are playing. Sometimes they're all playing at once. 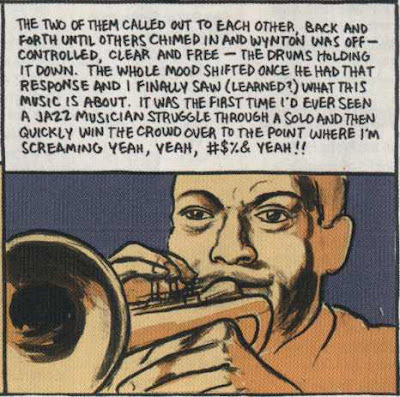 Then the tempo changes, the melody is abandoned, but the progression remains. Call and response. Thanks to Serge, Christian, Sandra and Manuel. Also thanks to everyone at ApoKlyps - (I tagged along to Kaz and Peter's signing there). And to Helene for helping us all get around in Paris. 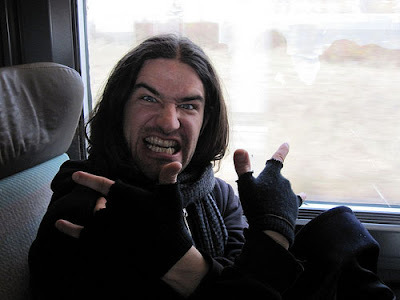 And thanks to Dan for resurrecting Storeyville in the first place. And thanks to Kaz, Peter, and Dash for putting up with me all week. It's fun to sit next to friends for days on end drawing and talking comics. 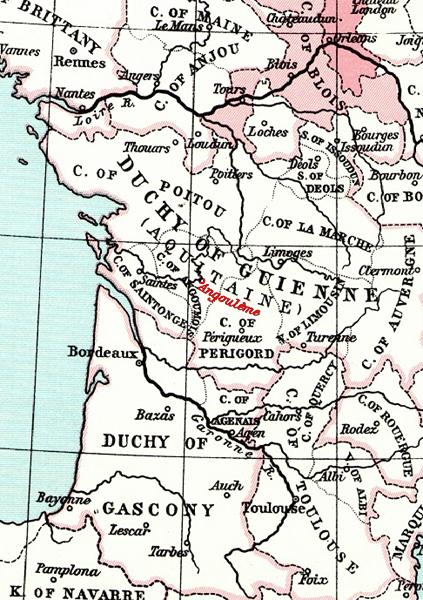 In France.